Restaurant management software helps restaurant owners and managers run a restaurant end to end. These tools are used by restaurant employees to keep track of inventory, payroll, orders, and analytics. Managers and owners can use these tools to compare business practices at multiple locations, ease the onboarding process for new employees, and track employee effectiveness. These tools provide a wide range of features for either niche restaurant types or restaurants as a whole. There is crossover between restaurant management software and point of sale (POS) systems. However, while restaurant management tools include POS features, they also include a variety of other features to help run a restaurant. Visit the restaurant POS category for tools that primarily perform POS functionality. Restaurant Management reviews by real, verified users. Find unbiased ratings on user satisfaction, features, and price based on the most reviews available anywhere. Toast is an all-in-one restaurant technology platform. Built specifically for restaurants, Toast brings together many solutions from integrated online ordering to gift card and loyalty programs to labor and sales reporting all on a mobile, cloud-based POS system. 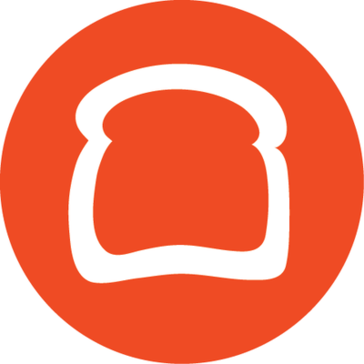 Toast helps you improve your operations, grow revenue, and get more business insight. Toast’s mission is to create the best possible restaurant guest experience by partnering with our customers to tackle the unique challenges of the restaurant environment. Imagine upgrading every aspect of your restaurant with a simple touch. We’re talking quicker service, increased profits and simplified workflows. Lightspeed Restaurant’s robust POS solution lets you run your entire restaurant from an iPad and access your business from anywhere, even if you lose internet connection. Whether you run a full or quick service restaurant, a bar or nightclub, a hotel or cafe, this POS system is tailored to your business’ needs. Get your staff up and running with our intuitive interface and cloud-based system that allows servers to move fluidly from table to table and take orders with fewer mistakes. It’s built to help you upsell with ease and interact with your customers during the ordering process by uploading appetizing images and suggesting modifiers for each menu item. Generate detailed sales and keep track of best-selling items, trends and customer habits. Lightspeed Restaurant gives you full control of your business by letting you assign specific roles and responsibilities for each staff member. Plus, it requires minimal hardware, so you can elevate your business at a cost you can afford. Menu and floorplan - Create discounts for customer groups, promotional events or specific items. - Combining tables or moving them around is as simple as tap and drag. - Present menu items complete with photos, descriptions and prices. - Quickly update your floorplan. Ordering and payments - Send tableside orders directly to the kitchen or bar. - Offer quicker service. - Easily split or combine bills. - Offer flexible payment options. Offline mode - Internet down? Don't sweat it. Lightspeed restaurant POS works online or offline. - It’s the only POS to keep your data safe even if your terminal is permanently damaged. - Look up customer information for take-out or delivery orders. - Process gift card sales or as a payment method. - Liteserver stays up at all times, so operations go on as usual. - Once a connection is reestablished, your data is automatically synced. Reporting and data - Pull-up end of day reports to access key data that will help you prepare for peak periods and better understand your customers’ needs. - Use the staff reports to learn who your best employees are. - Access all this data from your phone, iPad or laptop, anytime, from anywhere. Free Onboarding & 24/7 Support - Benefit from a dedicated team who help you get started in a 1:1 session. - Get live chat support with our support heros located around the world. Employees - Customizable user permissions give you full control over employees’ access to your system. - Train your team in no time with the intuitive and easy-to-learn iPad interface. - Staff can take orders directly from the iPad for quicker service and more accurate orders. Integrations - Add the Kitchen Display System for optimized communication between the kitchen and the front of the house. - Add the Customer Facing Display to optimize communication between your staff and customers. - Add the Self Order Menu to let customers place their own orders. Our network of over 250 integration partners lets you tailor Lightspeed to your business’ specific needs with accounting, delivery or loyalty programs. What our customers are saying “It allows me to focus on taking care of my customers and not worrying about how the place is running, it really gives me peace of mind.” - Maison Cloakroom “It was easy to program and even easier to train my staff with — I could do it with my eyes closed.” -Nobu Hotel “I wanted my team to focus on what they do best. With the click of a button, they can show guests how a particular dish looks like and that adds to the experience.” -Absurd Bird “From ringing up food and drinks to managing the backend and business side, it’s freeing me up to do so much more work than I would have the time to do if I had to do all that by hand.” - Live on Air Questions? You can always reach our friendly team of specialists by calling 855-251-0441 or by going to our support center for helpful tips, training videos and system updates. TouchBistro is an iPad POS system designed for and by restaurant service staff to meet the specific needs of the industry with 24/7 expert support from former restaurant servers, managers, and owners. Whether you own a fine-dining restaurant, casual eatery, cafe, food truck, pub, or any other food business, TouchBistro is an affordable and easy-to-use POS system that helps to increase sales, improve service, and make better business decisions. It is complete with food service specific features, superior ease-of-use, and advanced management capabilities, making it the perfect business solution for your restaurant. Manage tableside orders, floor plans & tables, mobile payment processing, staff & scheduling, menu management, and inventory management right from the iPad. Plus, access reporting & analytics in the cloud from anywhere, at anytime. It integrates the payment options to help in efficient management of receipts and expenses. Gift cards and credit cards are incorporated into the TouchBistro POS solution for ease of payment processing. The NCR Aloha Platform is an end-to-end restaurant POS and management solution that enables restaurants to optimize on- and off-premise sales and operations, control variable costs of labor and inventory, streamline system administration and quickly adapt to fast-growing trends with an expanding list of APIs and partnerships. The NCR Aloha Platform has been built and refined over time by incredible minds pulled directly from the food service industry. We work hand-in-hand with our customers, industry veterans and some of the most recognized usability experts to ensure that those who use Aloha can learn the system quicker, do their jobs faster and make fewer mistakes than they could with any other system on the market. Used in thousands of restaurants all around the world, the NCR Aloha Platform is widely known for its reliability, usability and efficiency. Its core capabilities include fixed and mobile POS, takeout, analytics, payments and direct integration into leading third-party delivery marketplaces. Because each restaurant's business requirements are unique, users can also add NCR back office, digital ordering, self-service kiosks, loyalty, kitchen operations and/or digital signage capabilities and much more, including choosing whichever payment processor is best for the business. 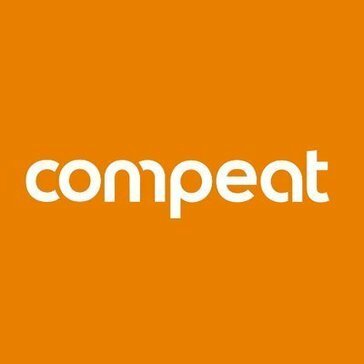 Compeat and Ctuit have combined to offer the most comprehensive and innovative all-in-one restaurant management software available for the restaurant industry. With over 34 years of industry experience, we are the largest provider of integrated accounting, back office, workforce and business intelligences solutions designed to improve profitability of restaurant operators nationwide. WE ARE THE BOH GUTS THAT POWERS YOUR FOH GLORY. WE ARE ENTERPRISE RESTAURANT MANAGEMENT SOFTWARE. Chosen by the most admired brands in the world to power their BOH, the CrunchTime Back Office Solution reduces food and labor costs, drives operational efficiency, and allows restaurants to better manage the quality and consistency of their food service -- across the entire enterprise. After CrunchTime BOH solution is implemented, you will routinely see annual bottom-line cost savings of 2-5% or even more. Request a demo to learn more. Restaurant365 is an SaaS, restaurant-specific accounting and operations platform that integrates with POS, vendors, banks and payroll. ResDiary is one of the world's leading providers of online restaurant reservations, seating over 13.9 million diners per month across more than 8,100 restaurants in 59 countries. ResDiary is a web application sold as software as a service and is accessible via the Internet. Headquartered in the UK, we have team members and licensees in the UK, Italy, France, South Korea, South Africa, Canada, Denmark, Norway, Sweden, Indonesia, the Philippines, Dubai, Singapore, Hong Kong, Australia and New Zealand. ResDiary is growing year on year at a rate of 60% per annum and we see exciting opportunities in 2017. Intelligent, integrated, modular - the Clarifi Platform solves the people, product and operational challenges restaurants deal with every day. With Infor SmartSeries, you get an advanced restaurant point of sale system that allows you to improve customer service, automate production, control costs, and streamline data throughout your franchise organization. This proven, feature-rich solution combines a powerful back-of-house module with our sleek front-of house POS modules to exceed the needs of the most demanding table service or quick service restaurant. PeachWorks restaurant management cloud solutions simplify reporting, inventory management, employee scheduling, and recipe management. No matter how many locations you have, we make your restaurant data accurate and easy to interpret. QSROnline was founded in 2004 in Corpus Christi, TX as a back office reporting service for restaurants.Over the past twelve years our team of veteran software developers, support representatives, and restaurant professionals have collaborated for one common goal: to help maximize profits for restaurant operators with affordable, reliable software. Our innovative software empowers restaurant operators with Enterprise Reporting, Business Intelligence, Inventory Management, Labor Scheduling, and Accounting / Payroll Automation. QSROnline takes pride in our services, our continued innovation in restaurant technology, and most of all, our valued customers. Expodine is a restaurant management software that offers a complete tablet ordering system. The Rosnet reporting solution offers restaurant operators the ability to see their data, how they want it, when they want it. With robust dashboards and hundreds of configurable metrics operators can keep their finger on the pulse of the business from anywhere. With more than 30 years of experience, RTI is a leading developer of technology solutions for the restaurant industry and a Microsoft Gold Certified Partner. More than 10,000 restaurants, including many of today’s best known brands, rely on a broad suite of RTI hospitality solutions, including RTIconnect Back-Office, which simplifies the task of running a restaurant. RTIconnect helps managers achieve operational and financial goals, typically lowering food and labor costs 1-3 percent. SMS-based customer engagement software for delivery restaurants. Upserve is the smart restaurant management assistant serving up everything you need to know to run a smoother operation and exceed guest expectations. Visual Restaurant Management is a restaurant system that provides multiple modules to keep your restaurant moving such as BackOffice, inventory control, and customer information management, etc. FoBeSys is a Customer Experience Management solution for restaurants that manage the operations and improve customer experience. Imagine a powerful point of sale system with the most easy to use interface. Get the job done in less time and effort with Auphan Dining. Bizmax is a perfect restaurant software and available on a multi-location. Qualities i.e unique content of the website, handle large companies projects, use modern technology for development, provide high quality and manage projects. Cost effective yet highly efficient solution for restaurant owners to manage their walk-Ins, table reservations and billing. CloudWaitress is an online ordering system for food businesses. It is feature packed and can even automatically print orders out to nearly every printer. Data Central is restaurant management software that offers inventory control, purchasing management, labor management, dashboards, and reporting. Decision Logic is restaurant management software built to reduce food and labor costs and increase profitability. Dini is a voice based Restaurant Operating System. This results in improved quality and operational excellence for the restaurant. Restaurants also benefit indirectly from better customer experiences and reduced marketing spends. DuPlate restaurant management software is smart solution for major restaurants business, which brings efficiency in restaurant management. From kitchen to client Duplate provides dynamic features that will ensure customer convenience and better restaurant management. Xperts Restaurant is a world class Restaurant Management software developed and implemented by Experts IN Solutions. This software is comprehensive, easy to use, specifically designed for Restaurant industry, utilizing the best business practices in the current trends to independently run your restaurant in a profitable manner. Complete tablet ordering system for restaurants which redefines the whole idea of dining. Focus e-RMS is the next generation restaurant management software, customizable to fit unique business requirements. The powerful and flexible business management solution helps streamline core functions to increase the speed of service and enables strategic decision-making while elevating the customer experience. It empowers owners and managers to track purchase orders, procurement, inventory, stock reconciliation, and return processing to control costs and reduce waste. The cloud-based application also provides a centralized solution for easy management of business across multiple locations. Foodics is a web-based pos restaurant management systems for transactions, staff timetable loyalty programs e-commerce. Attributes i.e 24-hour services, big data analytics and support multiple languages. It is modern, simple to use for users to develop the site and increased traffic on that. Technology has streamlined your operations. Now streamline your technology for increased predictability and profitability. We are from hospitality ourselves, so we understand what you need to succeed – operational efficiency, profitability and a great customer experience. That’s why we created the Fourth platform, and we’re proud that our solutions are used by 1,100 customers in 60 countries. We’re passionate about the hospitality sector, and that’s why we only serve this unique vertical. Our technology has been built to make the complex simple. It helps get your managers out of the back office and in front of customers and staff. Demand Forecasting: Everything starts from an accurate forecast. With our solutions, predictive algorithms based on your business environment calculate a daily baseline forecast for review and benchmarking, broken down into 15-minute intervals by sales item. The result? You have the stock and staff required, when and where they are needed - every time. Purchase-to-Pay & Inventory: An integrated, mobile solution for all procurement, invoice processing with 3-way match automation, inventory and recipe control, nutritional and allergen information management and menu publishing – all with smart approvals functionality. The centralised purchasing workflows, data management and reporting mean total transparency and compliance, increased revenues and lower costs. And world-class analytics tell you what you need to know, 24/7. Workforce Management: Our mobile workforce management software helps you hire, onboard, train, remunerate and retain the best talent. Processes are digitised and simplified and smart workflows help managers handle every aspect of their staff – getting them out of the back office and to the front of house with their customers and teams. Analytics and Data: Fourth Analytics turns raw data into real evidence and data-driven insight for faster and more accurate decision making and optimised business performance. It brings to life the insight derived from multiple data sources in vivid, easy-to-use graphics across inventory, labour and payroll, recipe management and purchase-to-pay, plus other sources like POS, social media and review sites – giving a single source of truth for your business. FusionResto software has got everything you need for making your restaurant business more profitable. Innfinit POS is a complete software suite for your Restaurant, Bar, Food Court or Bakery business. An all-in-one online restaurant management software on cloud that smartly manages all restaurant operations e.g. building menus, creating table floor plans, placing orders,settling the bills,implementing CRM, managing the inventory, booking table reservations and managing employees. Manage your restaurant any time, anywhere on any device, at your convenience. mylivevison helps daily F&B expenditure entered into the purchase module not only updates the stock module automatically, but company stock levels also. NoshPos is All-In-One Solution for Food & Beverage delivery businesses. It's one system managing web and WeChat stores, POS, kitchen, back office, and delivery team. Omnivore allows developers to integrate with the leading POS systems, and connects restaurants to the latest technologies. Give your guests an experience that will keep them coming back and get ahead of your competition with an integrated technology platform that's built for food and beverage. Deliver fast, efficient service with centralized POS software and hardware, build inspired loyalty programs and offers, and keep costs under control with reporting and back-office solutions. Order Up Analytics offers cloud-based solutions to smart restaurants. Patronpath enables restaurants of all sizes to offer online and mobile ordering directly from their own websites and to engage with their customers online and on-the-go. PeachWorks, formerly WhenToManage, publishes software that enables on-the-fly restaurant management. POS Sector offers Restaurant Management Software with Mobile Ordering System. Why Use Restaurant Management Software? Who Uses Restaurant Management Software? Restaurant management software is designed to be an end-to-end software solution to help users run their restaurant. Ideally, if one purchases restaurant management software, they will not need to purchase other software to help run their restaurant. While every business is slightly different and has different needs, the intention behind a restaurant management system is to act as a POS solution, table management solution, inventory management solution, kitchen management solution, reservations solution, accounting solution, and more, all in one software package. While this may sound overwhelming, the intention is good. Restaurants operate on notoriously slim margins, and purchasing one software solution is often more cost-effective than buying many. Providing a more streamlined experience benefits both the business and each customer that walks through the door. By making it easy to seat a customer, take their order, send that order to the kitchen, and deliver the check, restaurant management software saves time for both the customer and the server. Some solutions are even available as a mobile app, eliminating the need for server stations entirely. Freeing up servers, saving time, and lowering costs all enable restaurants to run more efficiently between the back of house and front of house. It’s much easier to use one solution for everything rather than hope a variety of solutions will seamlessly integrate. Cloud-based software especially is easy to implement with touchscreen stations, so the learning curve is lower for both servers and the restaurant manager. Restaurant management software can also help owners and managers with the high-level aspects of running a restaurant outside of daily service. Accounting, billing, menu creation, inventory management, employee scheduling, and more are common features of restaurant management software. Restaurant management software is built to help users manage their restaurant or restaurants. By using a single unified system, users can streamline both the food prep and sales aspect of the business, as well as the high-level behind-the-scenes aspects. These solutions are designed to improve the daily experience of restaurant employees so they can in turn focus on improving the guest experience. Restaurant management systems are intended to manage all aspects of a restaurant from start to finish, from purchasing food all the way to billing and accounting. While many restaurant POS solutions are becoming robust enough to rival restaurant management software, their goal is not to be a comprehensive solution. Restaurant management systems, given that they are so robust, can help reduce costs, increase employee productivity, and even improve compliance with food safety regulations. Anyone looking for a comprehensive system to run a restaurant with a large variety of features can benefit from restaurant management software. They are designed specifically for the needs of a restaurant business and therefore cater their offerings specifically for restaurant needs. Restaurant management software can be used by everyone who works in a restaurant. Hosts and hostesses can use the platform to accept reservations, manually input a reservation, assign tables, and create a waitlist. Servers can use it to place guest orders, make sales, create or split checks, run credit cards, and generally process payments like a POS system. The kitchen can use the platform to create a menu, mark when menu items are no longer available, receive tickets, and manage inventory. Restaurant owners and managers can receive high-level insights into the business with reports and analytics, manage accounting, handle billing and purchasing, and basically oversee all restaurant operations. Most restaurant management software is designed to be a one-stop shop for all restaurant-running needs. However, some center on different aspects of running a restaurant than others. Some might focus more on the business side, with robust accounting features. Some might focus more on the server side, providing easy tools to streamline service. Some may focus on helping a kitchen become and stay organized by digitizing order tickets. In general, most restaurant management systems will be very similar, but the slight shift in focus can help direct improvements in a restaurant where they are most needed. Depending on the size of the restaurant and how many locations there are, some software is built specifically for single locations and some are specifically created for large businesses handling multiple restaurants. Finance tracking – Tracking every transaction is extremely important in a restaurant. Not only does it help manage income versus expenditures, but it also makes it much easier if a customer ever disputes a purchase. Knowing how much money is going into purchasing food by breaking down recipes by the cost of individual ingredients and which menu items are more successful than others can help owners and managers make informed decisions moving forward. This can also help a kitchen see how much money is being lost to food waste and make adjustments. In general, it’s always a good idea to know how sales are faring and where costs can be cut. Tax tools – Tax season can be rough on everyone, especially small businesses. Restaurant management platforms with tax tools can help prepare a restaurant for tax season with minimal work. By keeping track of all receipts and purchases, owners don’t need to worry about losing track of crucial information or doing a lot of tabulating last minute. Menu creation – While there’s obviously a lot of work that goes into creating a menu beyond the realm of software, restaurant management software can help organize that process. Some restaurant management software can maintain ingredient lists and recipes for menu items. Once menu items are finalized, they can easily be added to the POS feature, making it much easier for servers to place orders for customers. Order management – Order management and food sales obviously make up the bulk of a restaurant’s business. If operations don’t run smoothly, that can spell disaster for the entire business. With digital tickets or an integrated ticket printer, the kitchen can stay organized and on top of orders as they arrive. If a restaurant also runs a delivery service, staying organized is even more important in order to ensure that the food gets exactly where it needs to go. Some platforms will even alert servers when an order is running behind so they can keep customers informed. Credit card processing – Most point-of-sale systems have built-in credit card processing, and many restaurant management systems are no different. Since most diners pay by card, built-in credit card processing can make the payment process a lot smoother for both guests and servers. This can also eliminate the need to pay extra money to a credit card processing service. By having the service bundled with the software platform, there is no need to pay more out of pocket. Loyalty management – Obtaining and retaining customers is a huge challenge for any restaurant. Many restaurant management systems will include some kind of loyalty management features in the form of gift cards, frequent diner cards, or email newsletters. By having these all housed within the platform, redeeming cards or maintaining a record of accumulated points becomes easy. Customers don’t need to remember a paper card, and servers don’t need to spend a lot of time trying to ensure the customer gets their discount. Inventory management – For a restaurant, inventory control is a primary concern. Without enough of the right ingredients, serving customers becomes impossible. Food is not cheap, nor does it last forever, so ordering the right amount is extremely important. With inventory management features in a restaurant management system, chefs and cooks can keep track of all available ingredients, when they will expire, and what needs to be ordered in the near future. If a set amount of something is available, such as bottles of wine, a smart system will automatically update the inventory when items are purchased. While there is also restaurant inventory software available, having the feature available in a system already being used makes it much easier for the kitchen to communicate with the back office and front of house, and vice versa. Employee management and scheduling – Restaurants often have large workforces that work separate shifts. Employee management features can help restaurants schedule their employees’ shifts and create onboarding timelines for new employees who need training. This way, restaurants are always staffed appropriately and employees aren’t stretched thin. Some restaurant management software will even be able to report which days or nights are busier and which are slower so managers can schedule appropriately without under- or overstaffing. Reporting and analytics – Restaurants work with extremely small margins, so knowing exactly what is happening with the business at all times is crucial. Since restaurant management systems touch almost every aspect of a restaurant, they can collect data from the various corners of the business and create analytics that provide a clear picture of its operations. With this data and analysis, restaurant owners and managers can make informed decisions based on where they are performing well and where they need to improve. While data analytics solutions will provide more robust information, the basic tools within restaurant management systems are often enough for busy restaurateurs without a background in data science. Delivery and takeout – Customers love having the ability to order food online, so it makes sense to provide that option. A restaurant management system with functionality to create an online ordering portal helps keep everything in one place, as well as save time and money when trying to figure out how to build a website and avoid vendor fees. And with those orders coming directly through the restaurant management software, orders are less likely to be lost or pushed aside in favor of in-house diners. Floor plans – Restaurant management software allows hosts to input the floor plan of the restaurant into the tool so they can easily seat guests and reserve tables. Servers can use the floor plan to ensure that the right order goes to the right table. Some tools may even allow orders to be placed based on table seat, so if someone has an allergy or dietary restriction, they are not accidentally served the wrong item. Tableside ordering – Cloud-based restaurant management software has the ability to sync multiple mobile devices so servers can ditch the ticket pad and use a tablet or mobile phone to place orders right at the table. With the increased speed and accuracy offered by such functionality, it’s understandable why more and more restaurants are implementing this solution. Tablet-based POS – Most restaurant management systems are optimized to run on an iPad or similar tablet, saving restaurant owners money by being easily replaceable and saving space by not requiring a computer mouse or keyboard. Tablets are also portable and easy to set up, making them ideal if you want to try out new layouts or train new employees. No more bulky server stations. Online ordering – Ordering food online is a huge trend, and one that is likely not going away anytime soon. If a restaurant doesn’t offer online ordering, they’re likely missing out on a huge amount of potential sales. Luckily, restaurant management software makes it easy to create an online ordering portal with minimal effort. Restaurant POS software provides many similar features to a restaurant management system but is not as robust in features. Restaurant POS software is primarily designed to facilitate customer transactions and may contain additional features to aid in managing a restaurant. Restaurant management software is designed to run all aspects of a restaurant. Restaurant reservations software is designed to accept and manage reservations. Customers can make a reservation for a specific time, either on a restaurant’s website or a dedicated restaurant reservations site like OpenTable. While restaurant management software may be able to do this as well, it may not necessarily interface with the larger aggregate sites. Restaurant delivery/takeout software provides a means for restaurants to create an online ordering portal. While that may be on their website or on a larger marketplace like GrubHub, these tools typically integrate with restaurant management systems. Some modern restaurant management software may contain this feature, but it may not interface with the larger marketplaces. Restaurant inventory managment & purchasing software is a set of tools specifically designed to help restaurants manage their food inventory and streamline the purchasing process. Restaurant management systems will likely contain features similar to this, but they may not be as robust. Restaurant business intelligence & analytics software is designed to provide high-level insights into the performance of a restaurant. This data often comes from other restaurant software being used by the business. Restaurant management software will have the ability to create some reports and analytics because it gathers a large amount of data from all aspects of restaurant operations, but they may not be as robust as those created by a dedicated business intelligence and analytics tool. Hi there! Can I help you find the best Restaurant Management solutions?